Acknowledge the Past. Live in the Present. 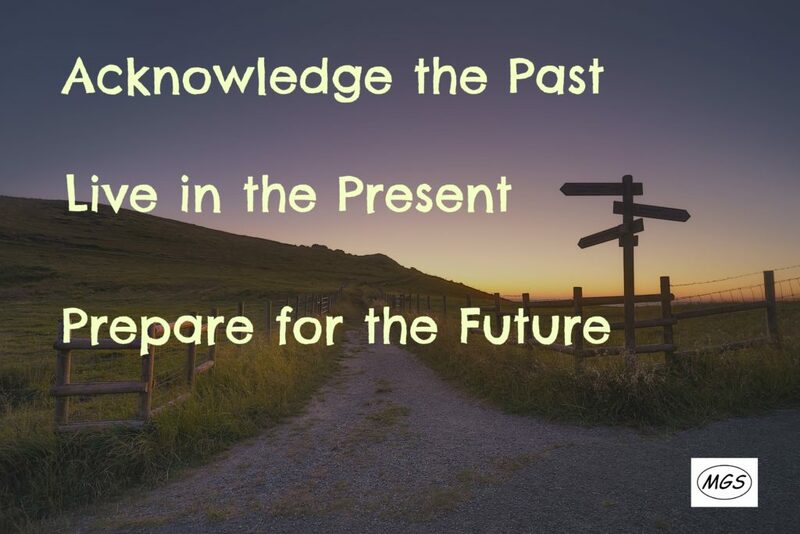 Prepare for the Future. We all have a past. If we try to forget it, we ignore potential lessons. If we hang on to it … well, we might miss on present and future opportunity. Acknowledge the past. Our past is important, though not as important as our present is to our future. We have a present. An unquiet mind or an anxious spirit might cause us to miss it. We too busy worrying about what others are or might be thinking about us. We tend to become too cautious or too hurried to figure out what’s next. Live in the present. This time is a gift. For now. We have a future. It’ll come soon enough. Having goals is good. Preparing for future times is wise. A “When Then, Then This” thought process can be helpful “So That” you’re prepared for potential surprises. Prepare for the future. Be aware that if there is a battle — it’s the one right in front of you, not the one behind you, nor the one still a ways down the road. What's on Your Convictions List?